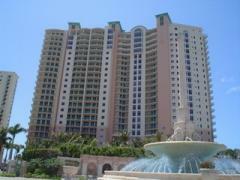 The Esplanade Club is located in the Park Shore area of Naples and stands 18-stories tall. Built in 1981, The Esplanade Club features beach access, a heated pool and spa, fitness center, outdoor lounge area with fireplace, tennis courts, and more. Pets are allowed with limitations. Have any comments or questions about The Esplanade Club? Ask your question and/or share your thoughts about this Building.